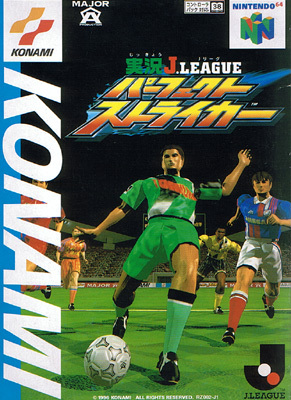 Konami's Major A team produces the good once again with this distinct football title cramming in far more polygons than the PSX version and crafting a different game as a result. 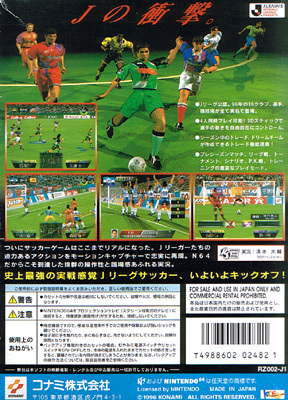 The first football game to offer such big sprites and close range action whilst still utilising a fine passing game to unpick the opposition defense that would make Sensei Soccer proud. 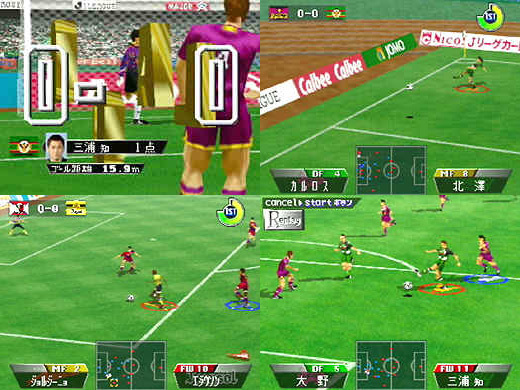 Like Nintendo's finest titles you can jump straight in and play, but it takes a few hours on the lonely training pitch to reap the rewards on a Saturday afternoon. Second hand. Very light box scuffing and very slight dog ear on manual. Edge Rating: 9/10 - Astounding.